Most publishing contracts haves what is called "termination clause." No, stupids, this is not title of worst Arnold Schwarzenegger Christimas movie ever! This is clause that sets up what conditions under which the contracts ceases to applies, like when book is out of print or the term of the rights purchase runses out. But Sydney has another name for this clause! She calls it the "Sydney-doesn't-makes-no-more-money clause!" See, the percentage of monies that Sydney gets is for the "life of the contract." 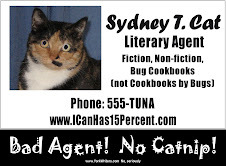 If book stays in print for fifty years and contract is in force, Sydney gets still her percentage! This is much tunas for Sydney! But if contract runs out, so whats, right? Sydney can resell work then and makes more monies! But, ignoring that this is more works for Sydney (do not want! 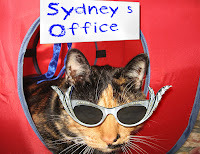 ), sometimes (not very often) clients wise up to Sydney's evil ways, and "part company" with Sydney! But even then, if contract is still in force, Sydney still makes moneys! But if contract expires, no moneys for Sydney! Former client can have NEW agent resell and keep cut for themselves! Stupid writer may even sell themselves and keep ALL money! Selfish writers! Don't they know that agents needs to eat, pay rent, and buy mink-lined business jets! Sydney has been thinking about this, wondering if she can negotiate OUT termination clause on all client's new contracts? 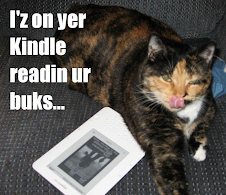 Publishers won't say nothing. It has been Sydney's experience, they is usually happy to let writers (or their agents) screw themselves. But this is only screwing for client, not so much for Bad Agent Sydney! And most clients won't notice. Don't know what termination clause is, even if they bothers to reads contract. (Clients, ignore this post, and do not worry your pretty-little-heads!). Sometimes Sydney is so brilliants she has to wear shades!! !